In 2019, real estate investing is no longer easy. Most investors do not have the capital nor knowledge to be successful. Today, we will show you how you can own real estate through an investment vehicle called Real Estate Investment Trust (REIT). With REITs, aspiring investors like you, not need to worry about large capital requirements, house mortgage or need an extensive knowledge in property management. psst...do share this guide if you find it useful! Singapore Real Estate Investment Trusts (also commonly referred to as S-REITs) are listed companies that pool investors' capital to invest, own and operate real estate properties. The properties are then leased out to tenants in return for rent. Investors who invest in REITs are co-owners of the REITs. They are entitled to earn rental income from the property assets which are distributed regularly. Aside from that, investors also stand to benefit from the capital gain as the property value increases. Although REITs may not be a common term to many non-investors, Singaporeans are no stranger to the properties owned or managed by these REITs. 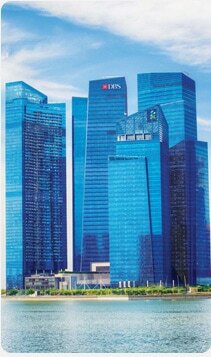 Marina Bay Financial Centre is owned by Suntec REIT with 33% ownership. 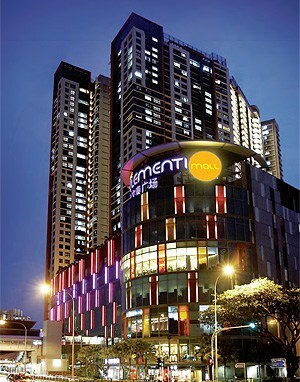 Suntec REIT is known for their commercial real estate portfolio. Currently, the REIT owns 7 landmark buildings at valuation of approximately $9.5 billion. Gleneagles Hospital is owned by ParkwayLife REIT. 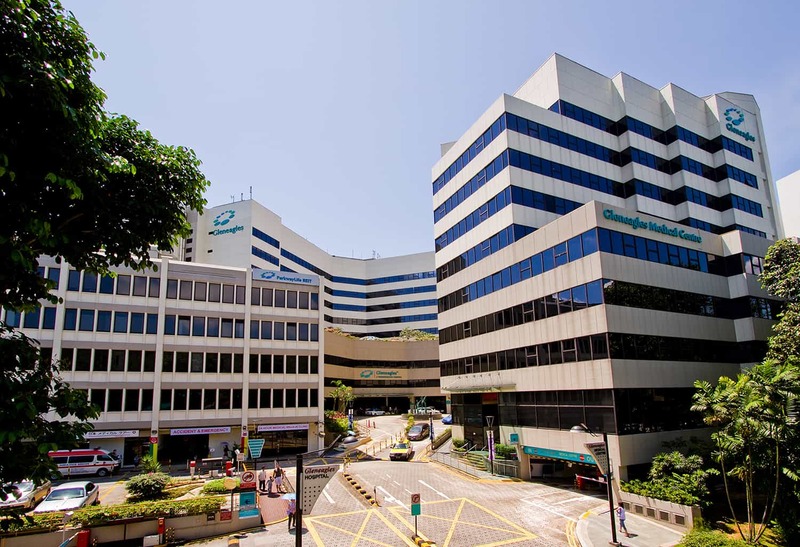 Plife REIT has a total portfolio size of 49 properties valuing at approximately S$1.7 billion which makes them one of the largest healthcare REITs listed in Asia. Paragon is a upscale retail mall managed by SPH REIT. The REIT owns only 2 buildings, Paragon and The Clementi Mall, and its portfolio is valued at approximately $3.23 billion. If you have been investing in the stock market, then chances are you already have both the accounts. All you need is to know the code of the REIT you are interested in, and purchase it via your online brokerage platform or by calling your broker. However if you are a complete new investor, the good news is you need not have to travel to the SGX CDP office (at Raffles Place or Buona Vista) to set up your account. You can go straight to a local brokerage firm directly to apply for both accounts in a single seating. The turnaround time takes less than 7 working days depending on your broker. As with stocks, investors can either choose to analyse and invest in individual REITs or invest in a basket of REITs through the use of ETFs. ETFs are passive funds that aim to emulate the results of an underlying index. There are several REITs ETF listed in the SGX for investors to choose from. One of the five investable themes mentioned in the SGX Thematic Indices is REITs. SGX S-REIT Index aims to track the performance of real estate investment trusts (REITs) in Singapore. The index is a free-float market capitalization weighted index which is reviewed bi-annually in March and September. Although the index is not commonly used by the media, investors can benchmark their performance against the index, and use it to determine the REIT market sentiment. Alternatively, you can refer to SGX S-REIT 20 Index. It is also a free-float market capitalisation weighted index, but it measures only 20 SGX-listed REITs, selected by size and trading volume. Launched in early 2017, NikkoAM-StraitsTrading Asia ex Japan REIT ETF is the first SGX-listed REIT ETF. It is a collaboration between Nikko Asset Management and Straits Trading Company. Investors can tap on the REIT ETF to gain wide exposure to Asian REITs, without the constraint of large capital outlay. SGX REIT makes up more than half of the portfolio while the remaining are diversified across Asia. The geographic breakdown is represented in the image above. REIT investors are a unique bunch. Probably due to the lack of options they have in the market, most of them assume that all REITs are equally safe and that the only difference is the dividend payout they will receive. The truth is, REITs investors face the same risks as any other stock investor. Hence, there is a need to do your due diligence and study the REIT that you are interested in. 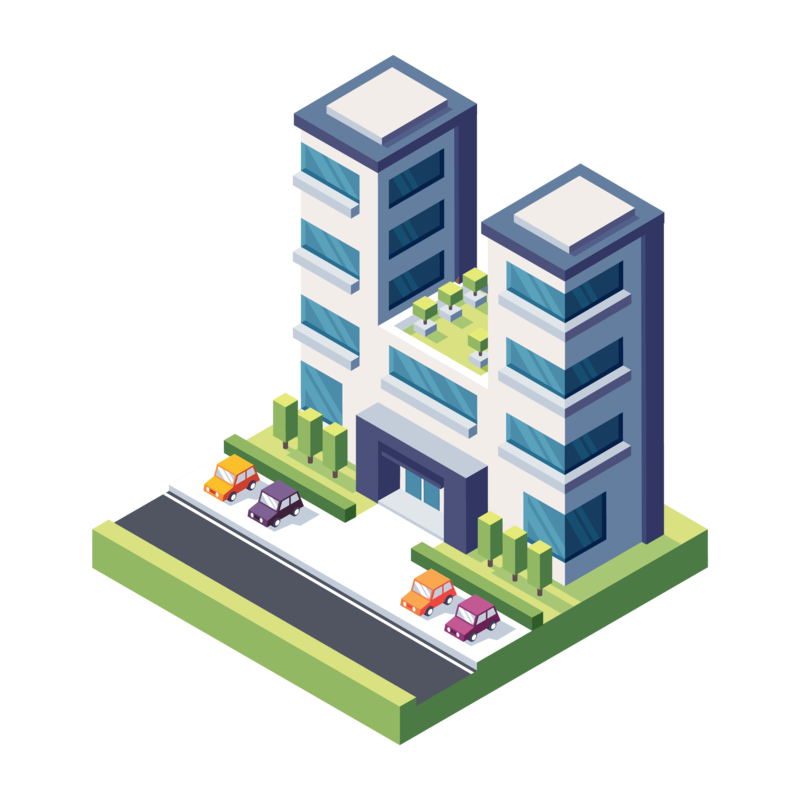 Despite having a different structure to the traditional real estate investment structure, REITs are an investment which rely on the underlying real estate’s ability to generate income. As with all real estate investments, valuation of the REIT is important. While you can rely on the Greater Fool’s Theory to bail you out, most investors should aim not to overpay for any REIT (or any other forms of investments). You wouldn’t want to overpay when you buy your new home either. So why would you want to overpay for REITs? REITs that are worth investing in should be in sub-sectors that have a good investment outlook. This outlook can refer to any macro trend from interest rate and regulatory trends to industry and economic trends. For example, we know that the global economy has been slowing down in the past few years. Because of this slowdown, it has indirectly impacted the rental market in the office REIT industry, leading to negative rental reversion. Another example of macro trend is the rising importance of data centres as corporations begin to harvest data to implement data analytics. This directly increases the demand for data centres. Hence, REITs that offer such data storage services become a more desirable investment compared to office REITs in terms of investment outlook. The nature of REITs lies between the behaviour of a stock and a bond. REITs own a portfolio of properties and receives rental income from the properties’ tenants. These rental incomes are then distributed to the shareholders after accounting for expenses. This gives REITs a bond-like feature of quarterly dividend payments to shareholders, just like the quarterly coupon payments that bondholders receive. On the other hand, REITs also behave like a stock where speculation, better valuation and forward outlook can push its share price higher to give shareholders capital gains. These capital gains can be driven by any catalyst. Thus, one important characteristic that good REIT investments need to possess is the growth element. Stock investors should be quite familiar with the idea of growth stocks. Good REIT investments should continue to be growing its net income on a year-on-year basis. Organic growth through Asset Enhancement Initiatives (AEIs), positive rental reversion and increasing occupancy or capital recycling. Inorganic growth through acquisition of new properties or invest in undeveloped properties. Cap rate, or capitalization rate, is the rate of return on a real estate investment property based on the income that the property is expected to generate. Some investors confuse cap rate with distribution yield due to its similarity in measuring a REIT’s income yielding ability. The difference is that cap rate measures a REIT’s income yielding ability against its underlying asset value whereas distribution yield measures a REIT’s income against its market capitalization. Instead of just using distribution yield as your basis for comparison, use cap rate as an indicator of the REIT’s rental generating ability. A high cap rate can signal the management or property’s ability to command higher rental income. This can give you a better indication of whether the REIT in focus is actually generating good rental income or just using accounting shenanigans to make you think that it is a good investment. After learning what an ideal REIT is, now let's take look at the three factors you should avoid when making investment in any REIT. It might sound counter intuitive, but investing in REITs shouldn’t be just focusing on the potential dividend yield of the REIT. Why does a troubled REIT like Sabana REIT have a double-digit yield of 11.8 percent in the past year compared to Keppel DC REIT’s 5.6 percent? 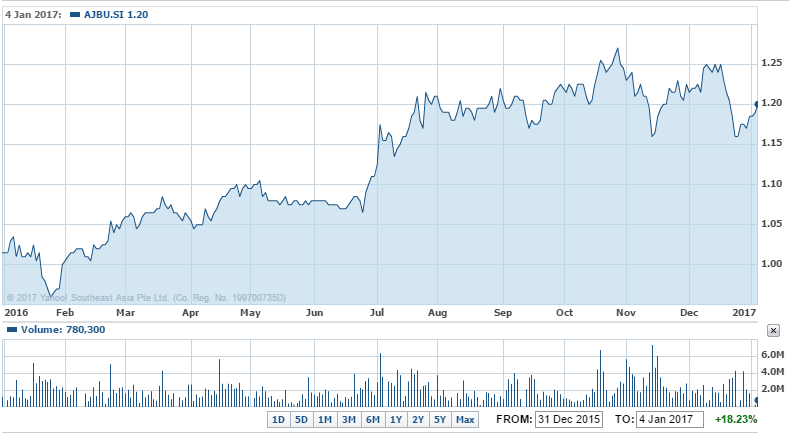 Isn’t Keppel DC REIT supposed to be of better quality and growth prospects than Sabana REIT? To answer that question, we first have to look at the total return that both REITs yield in the past year (let’s use CY2016 for a fair comparison). 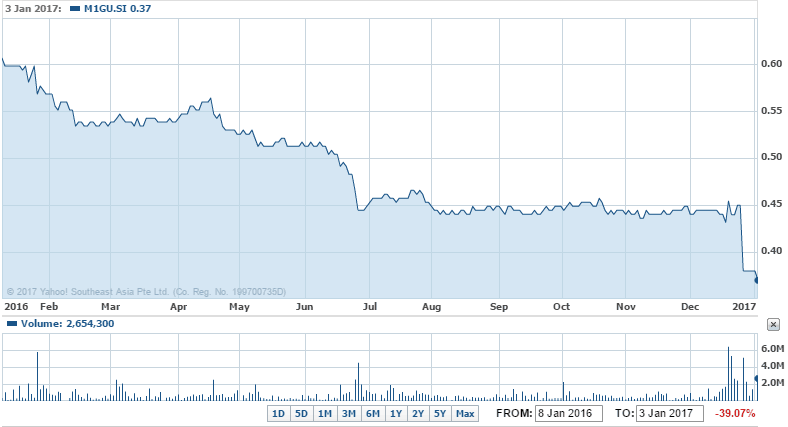 In 2016, Sabana REIT share price fell by 25 percent (even if we exclude the significant drop in Jan 2017 from the rights issue announcement!). Now compare that with Keppel DC REIT’s performance over the past year of 18 percent gain. Even after getting an 11.8 percent yield from dividends, shareholders of Sabana REIT are still making a loss of 13 percent! ​This is in stark contrast to the shareholders of Keppel DC REIT, which made 23.6 percent in 2016. ​Apart from dividends, we would expect to make capital gains as well. So rather than looking at dividend alone, we should instead be looking at the total return that we can generate from the REIT. REITs stand for Real Estate Investment Trust. This means that investing in REITs are like investing in real estate, albeit without property cooling measures like ABSD. As for any real estate investment, the macro outlook of the economy influences the returns of the investment. 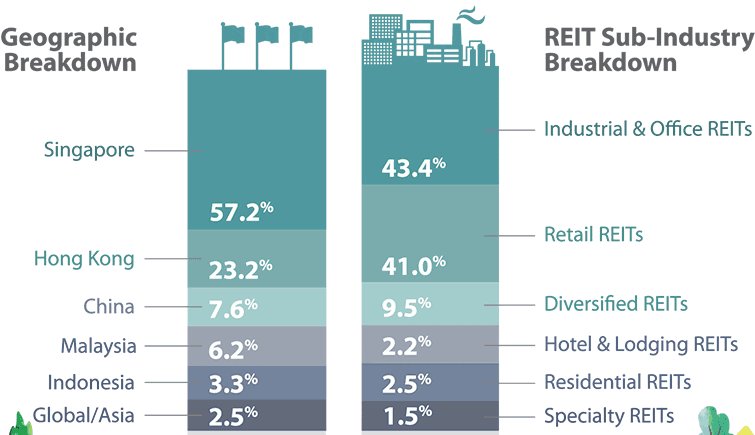 For REITs, there are five sub-sectors: Office, Retail, Industrial, Hospitality and Healthcare. Each sub-sector has a different outlook considering the economics factors affecting them. There are still outstanding REITs within each sub-sector. However, the opportunity cost of investing in outstanding REITs of sub-sectors with poor macro outlook is still high. The capital could be put into better use in sub-sectors that have good growth potential. Although REITs such as CapitaMall Trust remains an outstanding REIT in the retail sub-sector, why not place our capital in Keppel DC REIT instead where there is clearer and more visible growth? Most REITs typically use debt to finance the acquisition of new properties into their portfolio. Thus, investments in REITs will expose investors to interest rate risk. This means that as interest rate increases, it will negatively impact the earnings of REITs and thus, affect the distribution for REITs. To determine the relative amount of debt a REIT has, we use gearing ratio as a gauge. 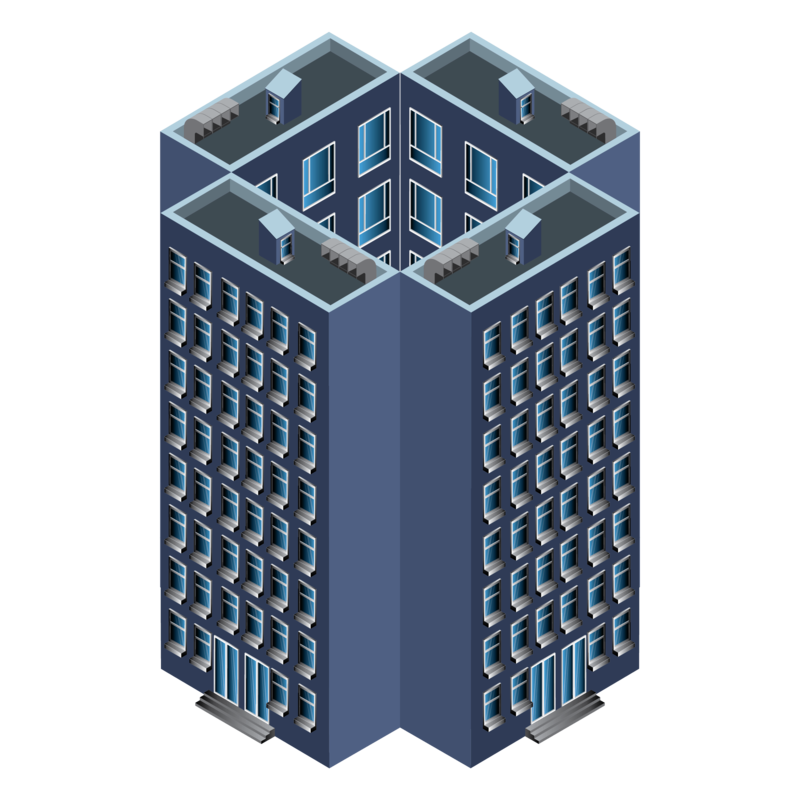 Gearing ratio represents a REIT’s amount of debt over its total assets. As the ratio increases, it signifies the more debt the REIT has over each unit of asset. Investors are exposed to higher interest rate risk when REITs are over-leveraged (high gearing level). While we are not saying that all REITs with high gearing ratio shouldn’t be considered, we need to keep in mind that higher gearing ratio exposes our portfolio to higher interest rate risk. (Note that there are also some REITs that raise finance through equity via rights issue like Sabana REIT, Ascott Residence Trust and Keppel REIT). Shopping malls you visit are most probably owned by a retail REIT. If you consider investing in these REITs, you should assess the health of the retail industry itself, as it is one of the major influence factors of your future profits. Keep in mind that retail REITs generate profits by renting space to its tenants. If their tenants have cash flow issues, they may not be able to pay their rent on time. Some of them may even default on their payment. In such situations, the REIT has to find a replacement quickly and this isn’t always possible. If you intend to invest in retail REITs, look out for those with very strong anchor tenants.​ Once you’ve finished with your analysis, you have to analyze the REIT itself. Look for signs of strong balance sheets, sustainable profits and little debt. Residential REITs own and manage manufactured housing and rental apartments or buildings. When analysing such REITs, consider how affordable homes are in the target area, compared to the country average. Wherever home affordability is low, the number of people who are forced to rent is higher, thus increasing the rental prices. As a consequence, most major residential REITs focus on big urban areas. Investors also look at population and job growth. Cities with blossoming economy attract more people, therefore bringing a higher demand for rental homes. Rising rents combined with low supply are ideal conditions for residential REITs. As in any other industry, companies with the strongest balance sheets afford to make the best investments. These are the REITs that focus their investments in office buildings. Their income comes from the rental of office space. The main advantage is that they usually deal with long term leases. Office REITs may also be seen as a subset of industrial REITs. 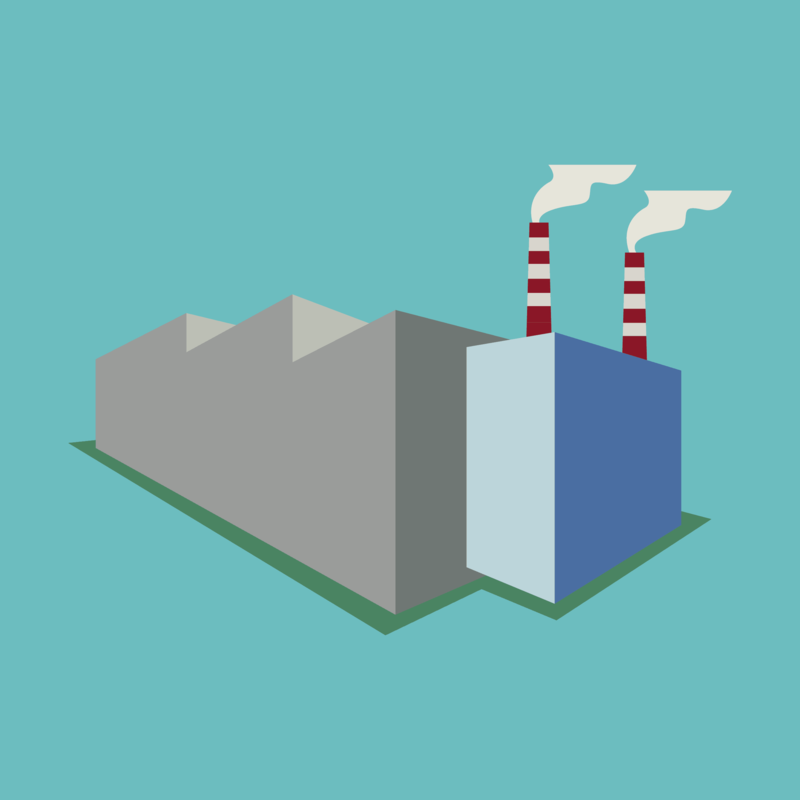 Industrial REITs manage and own industrial facilities, they rent these spaces to their tenants. These spaces include (but are not limited to) warehouses, distribution centers and specialised facilities. It’s important to take a look at the spaces and facilities that these REITs own and understand the industry players whom are renting the spaces. Also note that due to the shear volume of space each facility holds, losing a tenant may be a huge blow for industrial REITs with little assets. These REITs hold properties in the hospitality sector such as hotels, budget accommodations, serviced apartments or short term lodging facilities. 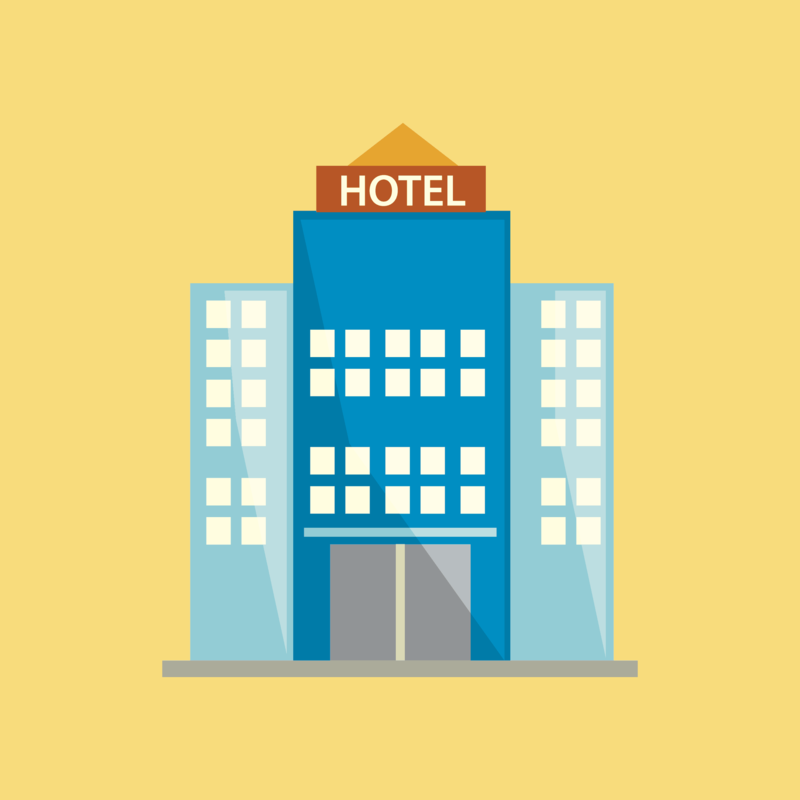 It may sound attractive to be able to own hotels through Hospitality REITs, but there are a few considerations you will have to note as well. Understand how the hospitality sector is doing. When the economy is poor, the hospitality sector would be expected to face lower sales and occupancy rates, especially if the hotel is focused on tourism. It is good to take a look at the properties owned by the hospitality REIT and understand its average occupancy rate. As these properties are sustained by short term stays and lease, their performance can be volatile and highly responsive to economic movements. 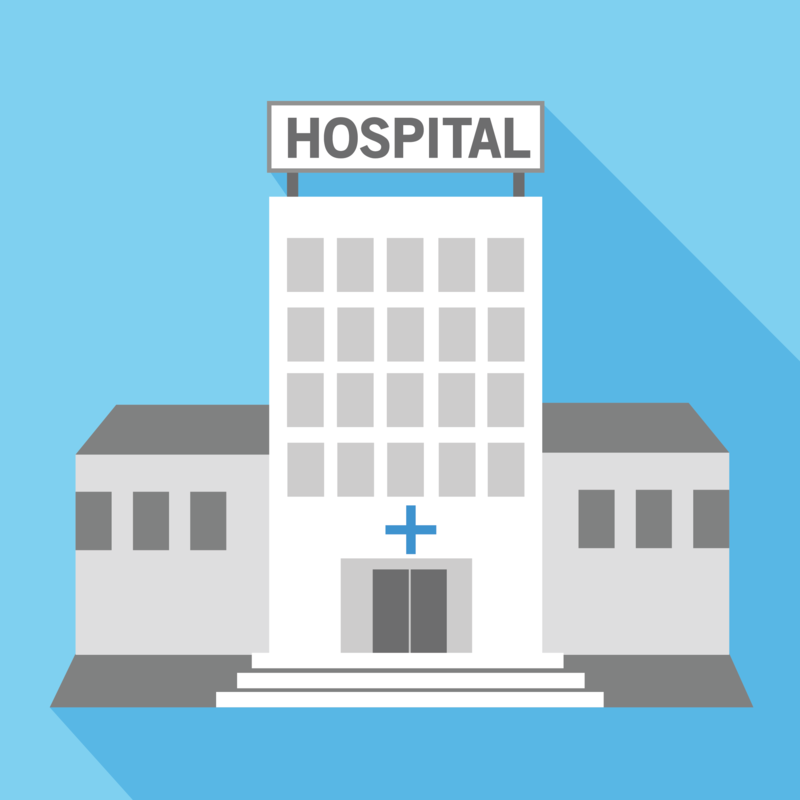 Healthcare REITS focus their investments in various medical facilities such as hospitals, medical centers, nursing homes and retirement facilities. Their success is tightly connected to the evolution of the healthcare system. When looking to invest in healthcare REITs, you should choose the ones that rely on a diversified group of clients with a wide range of property types. 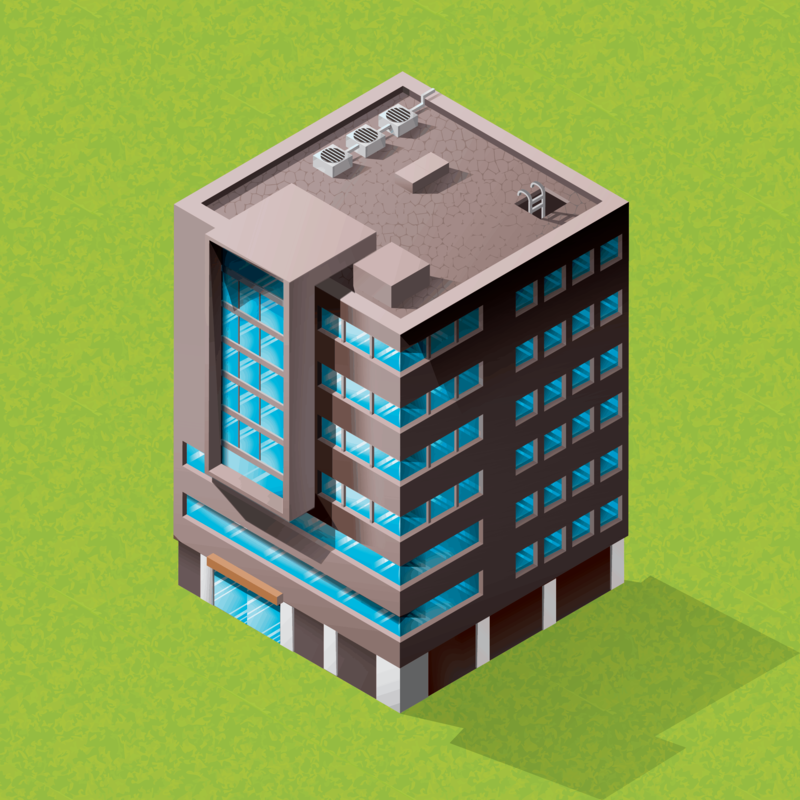 Buying REITs has often been seen as an alternative to buying physical properties. But which is a better form of investment? What is the difference between the two? This section explores the differences between buying REITs and actually owning the physical properties. While REITS have a similar exposure to the real estate market, they are somewhat different when considered from the point of view of a investment portfolio. First, we will look at the advantages of REITs versus physical properties. High Liquidity - One of the main advantages of REITs is that it is relatively easy for an investor to enter or exit the investment, since they are traded just like stocks on the stock exchange. On the other hand, property owners will take a while to find a buyer at the right price and the transaction process generally takes a few months. Invest with Minimum Capital Outlay - The minimum cost of most property investments is substantial, for example a $500,000 property with 80% loan to valuation will require $100,000 down payment. (not including other extra costs such as legal fees, stamp duty, etc). For REITs, the minimum outlay is 1,000 shares, some REITs may even cost less than $1,000. For example Starhill Global costs about $740 at the point of writing. 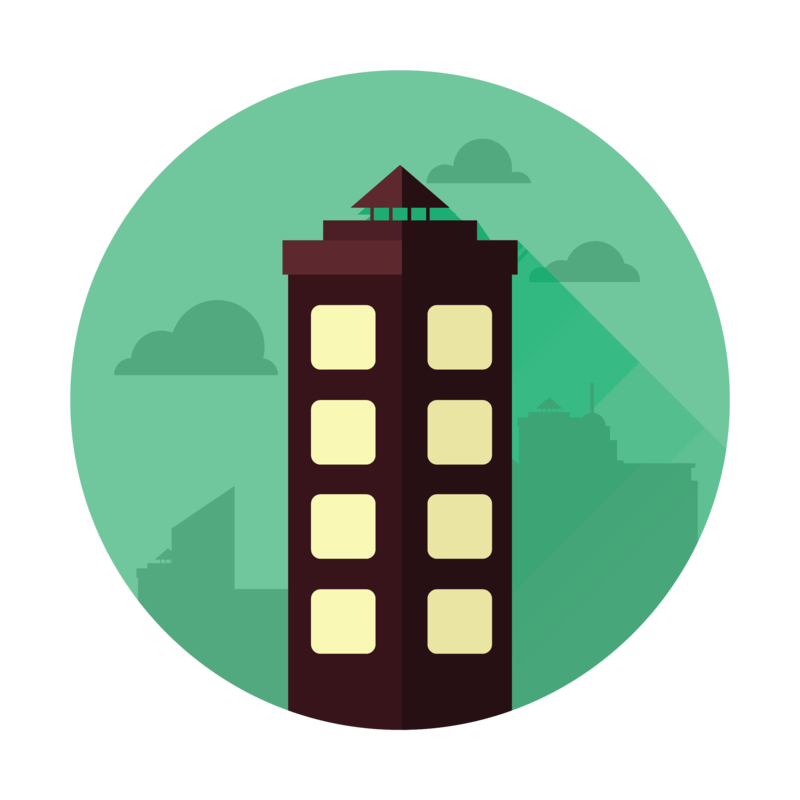 Management Team Handles Tenants and Maintenance - One of the most troublesome aspects of managing physical properties is dealing with tenants and maintenance of the property. There are many scary stories of bad tenants, tenants who don’t pay rent, tenants who damage your property etc. Bad tenants can cause a lot of problems and headaches for the property owner. It is also important to maintain the properties such as the flooring, plumbing, painting, etc, since the properties age over time. Diversification into Office, Retail, Industrial, Healthcare - While it is easy to buy residential properties, investing in commercial properties takes a lot of more knowledge and experience. Investing generally in office, strata retail and industrial properties are common for a commercial property investor, but buying actual retail malls will be very tough due to the high costs. REITs not only allow investors to take part in the largest shopping malls, but also hospitals, prestigious office buildings and more. Volatility of REIT Prices - Since REITs are traded on the stock exchange, the stock price of the REIT is subject to market volatility like any other stocks. Physical property valuations are generally more stable and are unlikely to experience wild swings on a daily basis. Management Fees - While you save a lot of hassle with REITs, the management team does charge a handsome management fees which eats into your returns. Management fees are paid not only on the basis of asset valuation, but also each time a property is acquired or divested by the REIT. Lower Leverage Power - In general, most REITs have a leverage cap of 35% without a credit rating and up to 60% with a credit rating. Physical properties on the other hand can easily get 60% to 80% loan to valuation ratio, hence the returns can be much higher. The combination of management fees and lower leverage power means that returns from REITs are unlikely to beat returns from property investments. However, the high leverage in property investments also means that it is more risky. A bad property investment can seriously damage an investor’s financial wealth. All in all, REITs provide an easy, low risk investment option to gain exposure to diversified portfolio of properties. 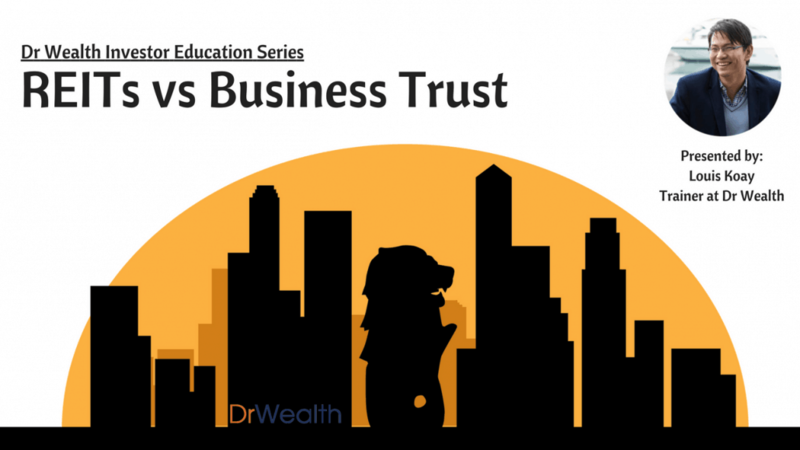 Many investors always confuse about Real Estate Investment Trust (REIT) and Business Trust (BT). Although both of them have the name of trust but the nature of both trusts is quite different. Due to these differences, both trusts behave differently in the market. Trust Objective - The objective for both trusts is very different. REIT is focus on passive investment vehicle which look for passive income while Business Trust actively engage in undertaking business operations. If you are an investor looking for passive income, you should invest in REIT rather than Business Trust. Dividend - The regulation for dividend distribution is not the same for REIT and Business Trust. REIT is mandatory to distribute at least 90% of disposable income to the unitholders while Business Trust is not mandatory to distribute dividend. However, Business Trust can distribute dividend from operating cash flow. This means that even though the net profit of Business Trust is less than zero, Business Trust still can distribute dividend if the operating cash flow is positive. Because of this reason, Business Trust tends to own business that has high operating cash flow. Gearing Limit - REIT maximum gearing limit is only 35% for non-rated REIT and 60% for rated REIT. But for Business Trust, there is no gearing limit. Both has pro and con for this gearing limit. Gearing limit for REIT is good for investors who have low risk appetite while Business Trust can increase their leverage without limit is suitable for investors who have high risk appetite. Voting Rights - REIT requires at least 50% of voting right to pass through certain proposal while Business Trust requires at least 75% of voting right. This means that the controlling interest for Business Trust is only required to hold more than 25% of the company. Because of this reason, Business Trust tends to have higher free float and can raise more fund from issuing units to the public investors. Investment Restriction - At least 90% of income for REIT must be generated from rental income while there is no restriction for Business Trust. This can be bad if the property market is in downturn, the income for REIT may be affected and thus lower dividend for the unit holders. So, which one should you invest? REIT or Business Trust? That decision is highly dependent on the investment objective of the investor. If you are looking for passive income, REIT may be a better choice. If you are looking for higher return, Business Trust tends to give higher return but come with higher volatility and high risk. You now know what to look for and avoid in REITs. But that’s not all. In your REITs investing journey, you will need to understand REIT specific terms. This section highlights the essential terms you should know. Weighted Lease Average Expiry (WALE) is a metric used by investors to access the likelihood of REITs’ properties portfolio being vacant. As we all know, income generated by REITs are derived from leasing out spaces. Hence, occupancy would hurt REITs’ earnings and therefore resulting in a distribution loss. There are two ways to measure WALE. Either by using rentable area or rental income, measured across all tenants’ remaining lease in years. What it tells us is that the average lease expiry of the properties portfolio is 3.65 years. As with all metrics, the figure has to be measured across similar sectors to conclude whether it is over or below the industry average. High WALE implies greater income protection due to later lease expiry term. However, the main downside is that the REIT is not able to capitalize higher rental during market boom as its average lease expiry is longer. Low WALE, on the other hand, has higher susceptibility towards rental market movement as shorter expiry term means frequent rental renewal. This allows the REIT to capitalize higher rental but at the same time means that it is susceptible to lower rental yield during bad time. When an acquisition is accretive, the company would expect to produce higher EPS when it acquires properties. Therefore it is able to give a higher distribution to investors. In REITs, managers often ensure their property acquisitions are yield accretive in order to win investors votes to pursue an acquisition and raise capital, usually through rights issue. Acquisition that is not yield accretive would be seen as destroying investor value. A rights issue is a right to buy additional shares / units in a REIT. It is issued to the REIT’s existing unit holders, usually at a discounted market price in proportion to their holdings. For example, rights issue of 1:4 means for every four shares you own, you have the option to purchase 1 share at a discounted price as stated in the rights issue. REITs often use rights issue to raise capital for potential acquisition that are deems to be yield accretive. Unlike raising through debt, rights issue does not increase the financial gearing of the REITs. Existing unit holders are given the opportunity to purchase more of their holdings at a cheaper price than what they get from the stock market. As rights issue requires REITs to create more units. Investors who do not participate in the offering would find their proportion of unit holdings diluted. DPU = Total Dividend /Distribution ÷ Number Of Shares. DPU is known as distribution per unit. It tells investors how much dividend / distribution they would get for every share they own. NAV Per Share = (Assets Market Value – Liabilities Value) ÷ Number of Shares. NAV is known as Net Asset Value. It gives us an indicative value of what investors would get if the Company liquidates all of its assets and pays off its liability. NAV is normally used to compare against market prices to determine above or under valuation of the assets. RNAV Per Share = (Revised Assets Market Value – Revised Liabilities Value) ÷ Number of Shares. RNAV is known as Revalued Net Asset Value. It is similar to NAV except that the assets and liabilities are adjusted to market value. RNAV is mostly used on property stocks with land that are valued at old prices. Gearing is a metric used by investors to access a REIT’s financial leverage. A company with high gearing is said to be more vulnerable during recession as it has to continue to pay interest no matter how bad the earnings are. Should the REIT be unable to pay its interest or principal on time, the REIT may fold up. Since July 2015, MAS has imposed a gearing limit of 45% for all REITs. Cap. Rate is known as Capitalization Rate or property yield. It is a measure of the property income yielding capability. Most REITs have their individual property Cap. Rate stated in their annual report. A high Cap. Rate suggests either the REIT managers’ abilities to negotiate for higher income or could also mean the property value has depressed. AEI is known as Asset Enhancement Initiative. Refurbishment, revamp and upgrades of existing property assets are examples of Asset Enhancement Initiatives. The goal is to optimise the value of a REIT’s existing asset properties value with the aim of increasing rental income. This is very common in Singapore especially in shopping malls. How To Get Started in 2019? 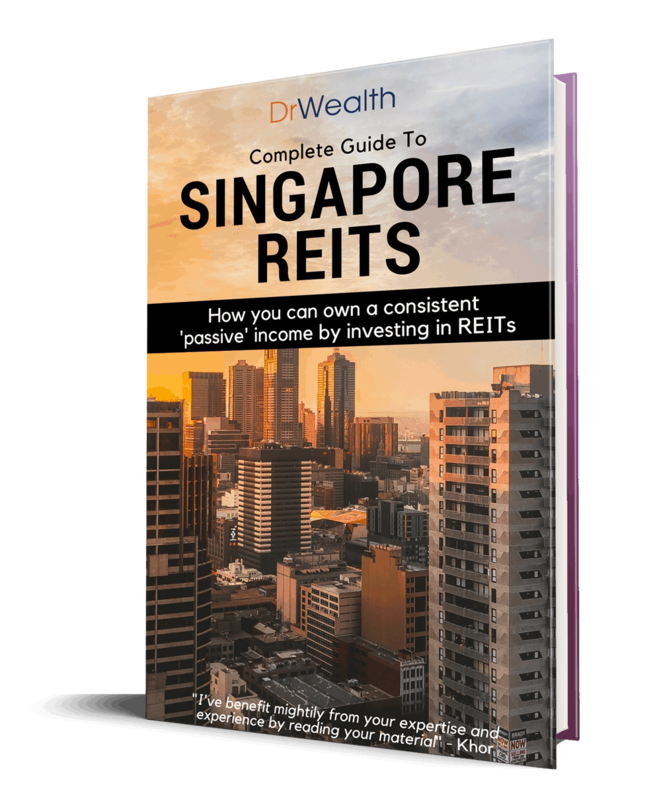 If you are a aspiring investor looking to own a piece of Singapore property with low starting capital, while earning a regular income, we hope this complete guide to Singapore REITs have convinced you to start looking at REITs as an option. We have provided the key fundamentals to REITs investing in Singapore via the various sections above. You should be able to understand frequently used terms in REITs, understand what to look out for in a profitable REIT, and how to actually invest and buy a REIT. Our Early Retirement Masterclass trainer, Christopher Ng Wai Chung has had frequent discourse with us on the power of REITs as a dividend investing tool. His results back up his actions. He retired at 39 with a passive income of $6,000 - $8,000/month. And his retirement was never threatened by the birth of his second child or his desire to go to law school at SMU. 40 pages filled with actionable tips and tactics to bring you from complete beginner to expert. Covers everything. From 6 REITs sectors in Singapore to 2 REITs investing tools you must know and, all the Essential Terms that will transform you into a smart REITs Investor.